Originally from the islands of Trinidad and Tobago, Ewabo performs high-caliber reggae, calypso and Latin music that is popular with different types of music lovers. 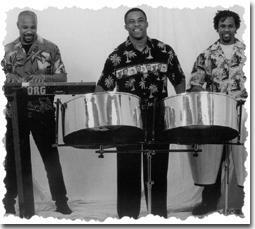 The band’s music emphasizes the steel drum, better known as a “pan” to people in the Caribbean. Not only do the musicians entertain audiences with their international and contemporary music, they also share stories about the rich Caribbean culture. Ewabo demonstrates their mottos of “One Love” and “Let’s Get Together and Feel Alright” as they perform a variety of remarkable musical arrangements. Ewabo has performed for various festivals, special events and celebrities including former President Bill Clinton. The band will perform on campus in celebration of Hispanic Heritage Month.